The Poppy is one of the most widely used symbolic flower around the world. The blood red poppy flower is often (and rightly so) associated symbolically with a remembrance for those gone out of this life, especially those who gave the ultimate sacrifice during the First World War. 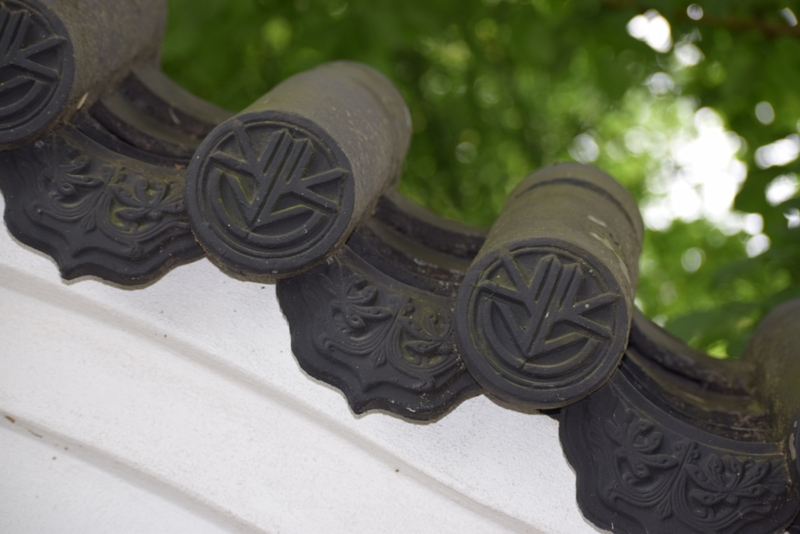 However, the pure white form of the same poppy flower has a very lovely meaning in the Asian culture. Chinese flower experts recommend the Poppy for couples because it means a deep and passionate love between two people, but white Poppies are tied to death in those cultures, too. 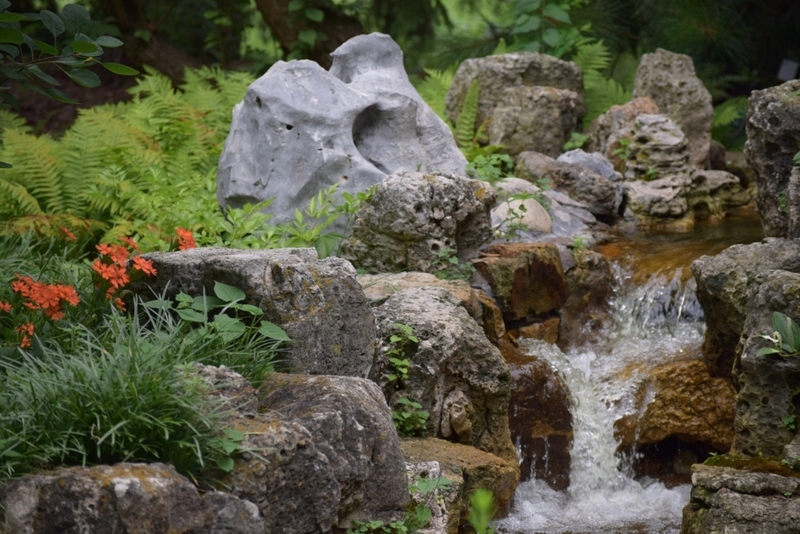 Even still, poppies are also seen as a cheerful plant to have in a garden due to its large size and available variety of cheerful colors. One flower can mean love, happiness, loss, sleep, or death all at the same time. It sounds like a summary of life. Here is something symbolical, combined with a garment already so very symbolical – the qipao. This is a Mandarin-derived word for a one-piece garment for women which has evolved itself rapidly in the last 100 years, even surviving being outlawed (when communism rose in China circa 1949). 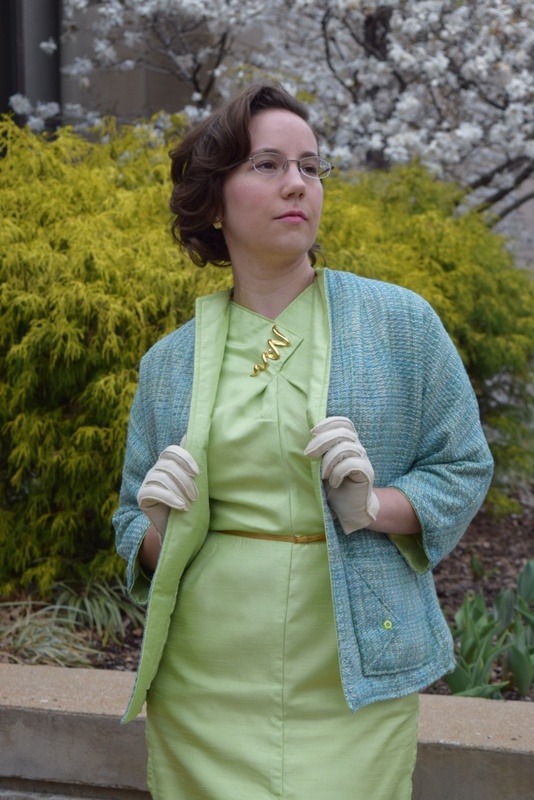 Many fashion details have been added or taken off them, many fabrics from either end of the price rage have been used for them, and they have changed fit to suit each era and feminine ideal, but a qipao – a derivative of traditional menswear – has nevertheless persisted in being a statement for the freedom and knowledge available to the modern woman. 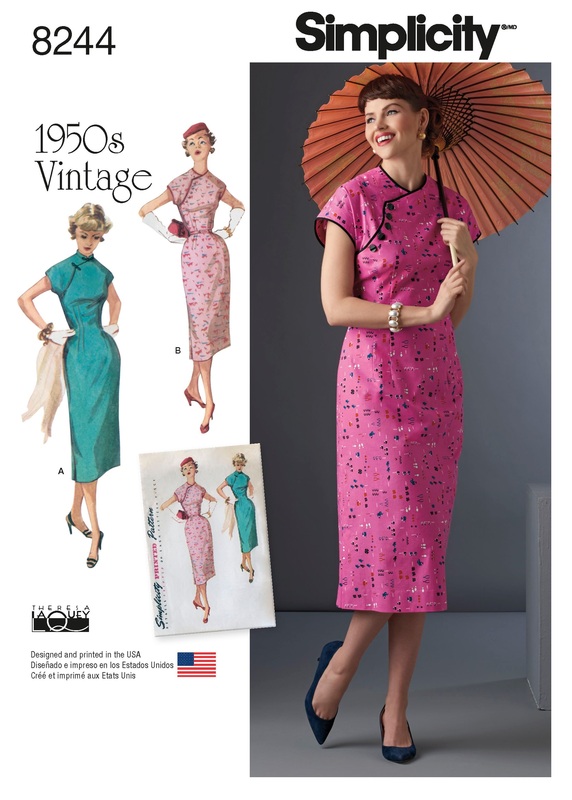 Although it originated in Shanghai of the 1920s, it was emerged in full force circa 1950s in Hong Kong, after that, as that country was a British colony at that time, it became a strong part of Western Europe and American fashion through the 1960s. It is this tumultuous, transitional history that I would like to highlight and honor with my modern vintage Mandarin dress. My coral pinkish-orange color is as bright as a cheerful paper lantern or the flashy electronic street advertisements of Hong Kong. My satin edging is as black as the poppy seeds which have caused so much fighting and human misery through the ages of the opium trade. 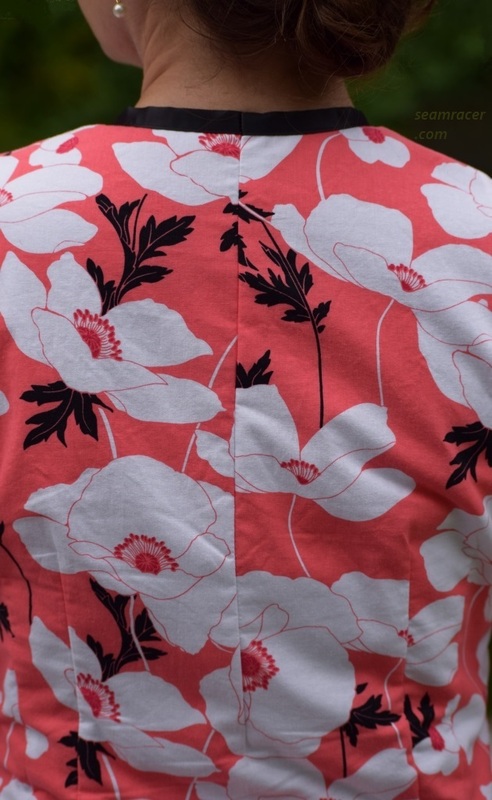 The printed poppies, thanks to a full body lining, are as snowy as a classic bride’s dress. A qipao was deserves much more respect than to be whipped up without a thought behind the details. This one of mine strikes me as sending a bold, cheerful, yet peaceful message, faintly touched by sadness. Now, I am by no means in any position to explain the qipao (sometimes informally called a cheongsam in Hong Kong). It is not my culture and there is so much symbolism, meaning, and national beauty to this garment that I could never know it all nor explain as well as others. Yet, I am wearing it not to ignorantly continue to Europeanize or secularize it, as was done especially in the 1950s, but to learn more of what I do not know, and interpret what I do know of the qipao in my own way to add to the respect of the garment. The more we know about others from around the world, the more I would expect it should bring a greater compassion and understanding of humanity (yet this is sadly not always the case). We are all going through life together be it our neighbor next door or one on the other side of the globe. Today more than ever – with all of our means of communication and social networks available – we are able to connect and learn about each other. Let us take advantage of that to be well-informed and thoughtful to others. 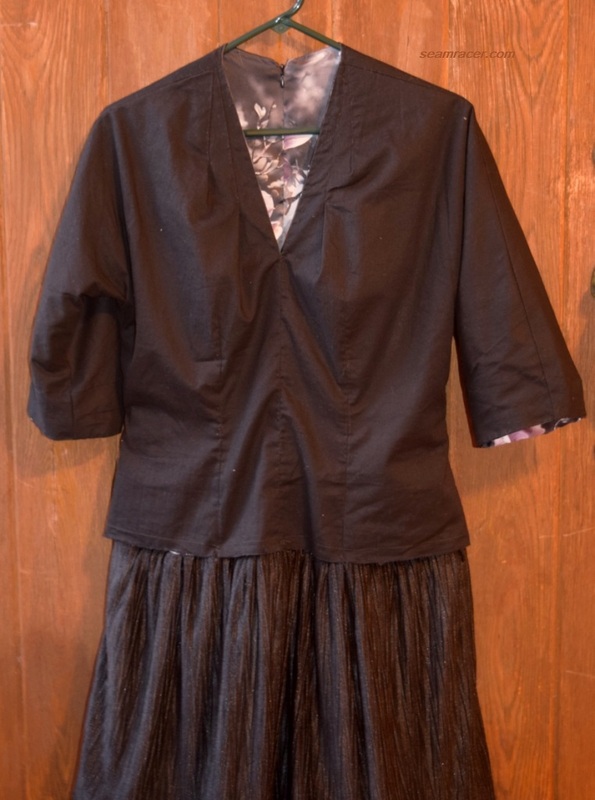 NOTIONS: I had to go out and buy the knot closures as I was finishing the dress, but everything else was on hand – interfacing, thread, zipper, and black satin binding – only because I have been wanting to make this dress for the last few years. I have been wanting to make this for far too long, and it is a relief to be finally able to wear it. You see, for some reason, I had expected this to be difficult looking at the design. Perhaps it was the fact that the one shoulder where the neckline closes and opens is sewn on as a separate panel. Sometimes when you add pieces like that it’s easy to cut them out of the wrong side of the fabric or find it fiddly to match if the connecting points are not clearly marked on the pattern. However, it was much easier to make once I thought the construction out and just dove into it. The most time consuming parts are actually making all those fish eye darts that give this dress its amazing wiggle shape, and doing the hand stitching on the frog closures along the neckline. I guess making my own satin bias tape was a bit time consuming too, but I enjoy that step so much more than sewing darts or closures! I found the sizing to be pretty good – maybe even a tad roomy. For my dress, I did go up a half size just in case it ran small. The finished garments measurements told me I probably would have been fine following the size chart to choose sizes. However, I figure it’s better to be safe than sorry because you can always take a dress in just a tad but when you need extra inches…that can be a problem. I get so used to working with true vintage patterns that I am actually unsure of the re-printed re-issues because you never really know how it’s been ‘modernized’. In the end, I left my dress a bit roomy because I don’t want the horizontal body wrinkles show up as the tell-tale sign when something is just too tight. I know this is a wiggle dress and all, but it still has such good shaping that it can be a comfy dress and still show off one’s silhouette! There is one small tweak I did to the pattern to incredibly simplify the construction and save the print of the fabric. It makes all the difference in the world. I eliminated the full center back seam and cut the back on the fold instead. Yes, I did lose some of the curving and shaping to the dress, but that was remedied in another way. You see, to cut the center back on the fold, only the bottom half – from the high hips to the hem – was actually straight enough to line up. The waist and above curved in too much. Thus, my solution was to I mark the curving I was going to be missing with a disappearing ink pen and stitch in smaller that difference as a dart. This way there is a seam that only extends to the waist in the back, and the rest of the print is not disturbed. I find a small dart a lot less bulky than a full seam, and quicker to make anyway! Other than this dramatic seam adaptation, there are several fine-tunings I made to end up with a dress I was finally happy with! As I fully lined my dress, I buried the interfacing in between the two fabric layers. As I was bias binding the edges, I left out the facings along the neckline and sleeve hems. I also left out the facings for the side slits to the skirt portion, and merely turned the edges under and stitched like a regular hem. The overall length ran long, and the pattern called for a wide hem, but I liked the elegance of the longer length so I did a tiny hem instead. The back bodice poofed out as if for a hunched back woman, so I trimmed the back neckline lower by 1 ½ inches to easily smooth the excess out. Other than these little modifications, I really did leave the general dress design as-is! I’m especially proud of the clean and hard-to-find hand-picked side zipper. To complement my dress, I added some dangling hair flowers (which actually rather remind me of half of a pair of Hana kanzashi – sorry! 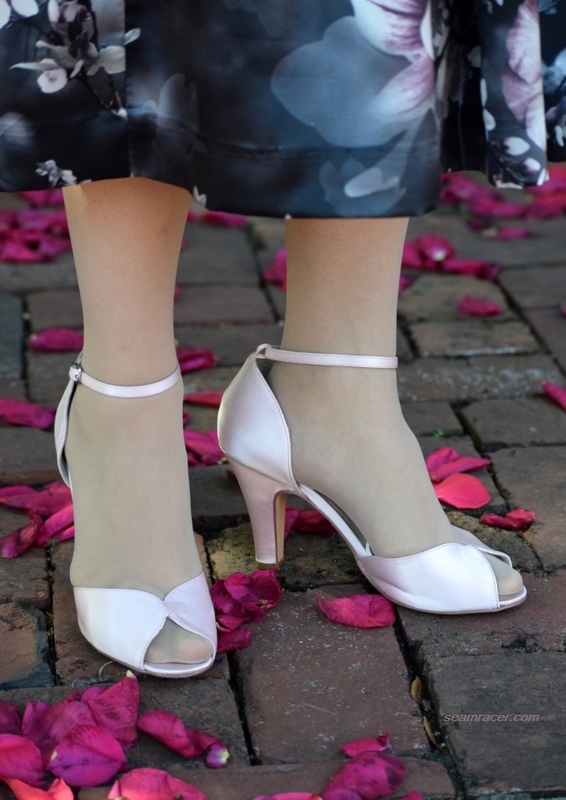 ), my summer fancy patent wedge heels, vintage gloves, my Grandma’s vintage drop pearl earrings, and a fun thrift store find of a handmade slatted wood purse. My lipstick is a classic Revlon color, true to the year 1953 called “Cherries in the Snow”. 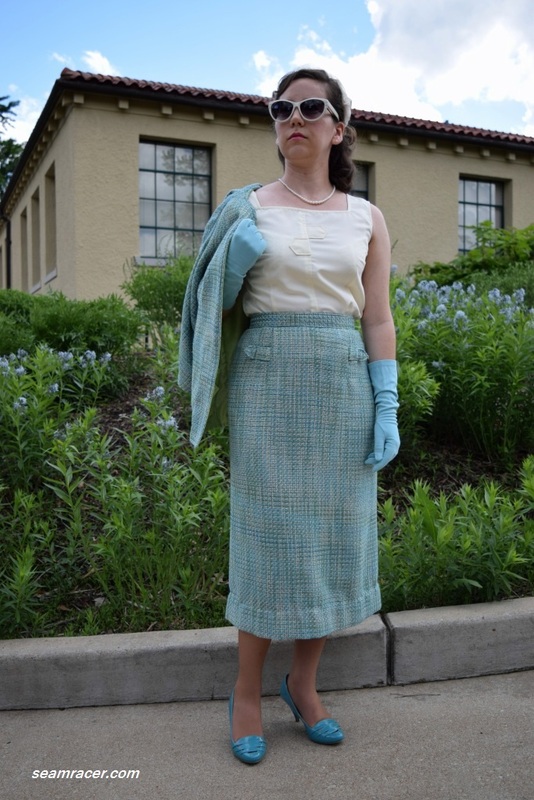 It seems that heels, a hair updo, and little white gloves are rather classic to wear with a 1950’s era qipao, so I suppose I am sticking with the safe and predictable outfit pairings here. ‘Classically’ paired together or not, this is still a standout dress, I think, and I rather like it like that…not to draw attention to me or my clothing, necessarily, but because a qipao to my understanding is a form of art, a message with fabric, a cultural beauty. This is what I miss the most about being an American – most other countries have a garment, a way with fabric, which offers a special cultural outlet for native personal expression. 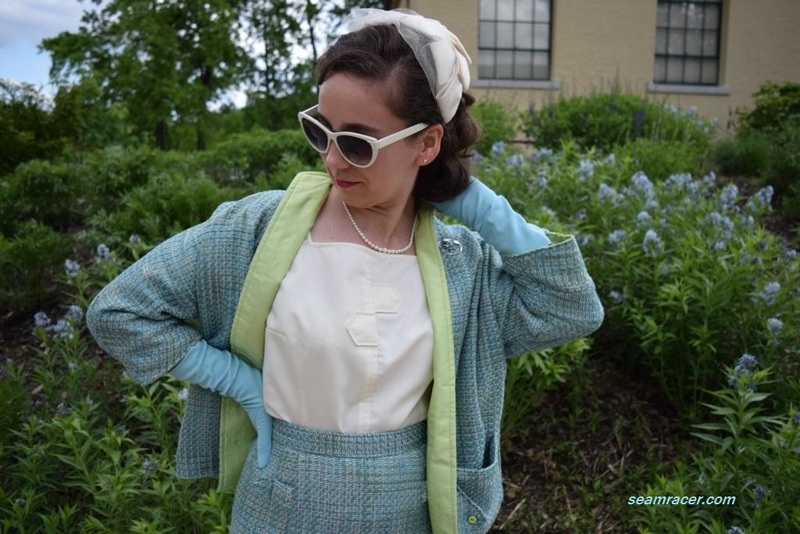 If I want to honor my country’s past by a garment, I tend to make historical clothes for attending a living history event or participating in a re-enactment. In other countries, there is a dirndl, a qipao, a kimono, a sari or a kurta, and an ushanka hat to name just a few of the most well-known examples of wearable culture. However, just wearing one of these items is not respect enough without awareness behind it. “Knowledge is power” is a phrase degraded because it is too often thrown out today, but when it comes to cultural garments, this is so very important. Is there a culture other than your own that you particularly appreciate and enjoy? Copying the fashion of famous people becomes interesting when you do it for one of the most iconic beauties – Grace Kelly. To top it off, I’ve chosen to try and recreate one of her iconic dresses, as well. Both she and I are called “Kelly”, after all – her maiden last name is my first. 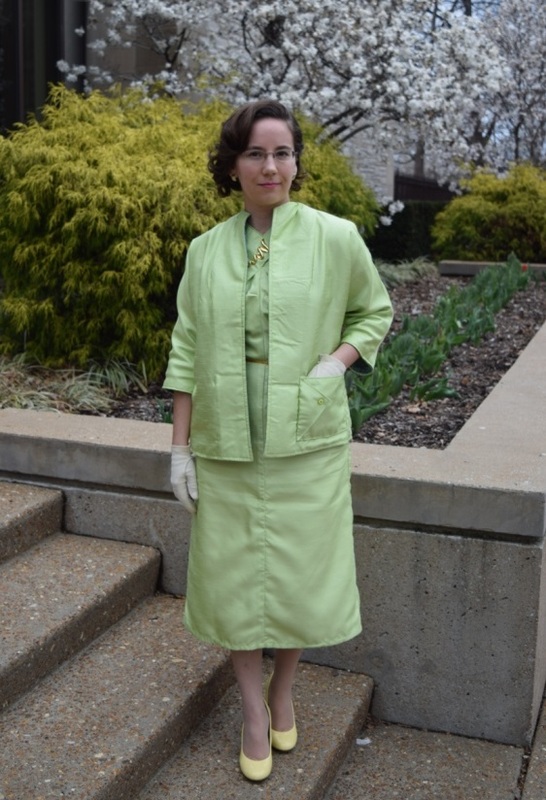 I’ve copied a dress that was worn for the occasion that changed her life – the first meeting of Prince Rainier of Monaco in spring of 1955 (full story here). Just a few months before, she modeled this same dress on the cover of the pattern book for McCall’s – it was pattern number 3100 from 1954. She kept that dress from the McCall’s cover, and when there was no electricity in her hotel the day she was to meet Prince Rainier, this flowered silk taffeta dress was the only thing she had which didn’t need ironing. She couldn’t fix her hair without power either, so she put it in a basic bun and added an ivy covered fascinator. I’ve read reports that she hated the McCall’s dress, really, but she thought no one would ever remember her in this frock. She never though so much would come from her visit with the prince! I have a whole Pinterest board here full of more pictures of her and the prince from that occasion, if you’re interested. 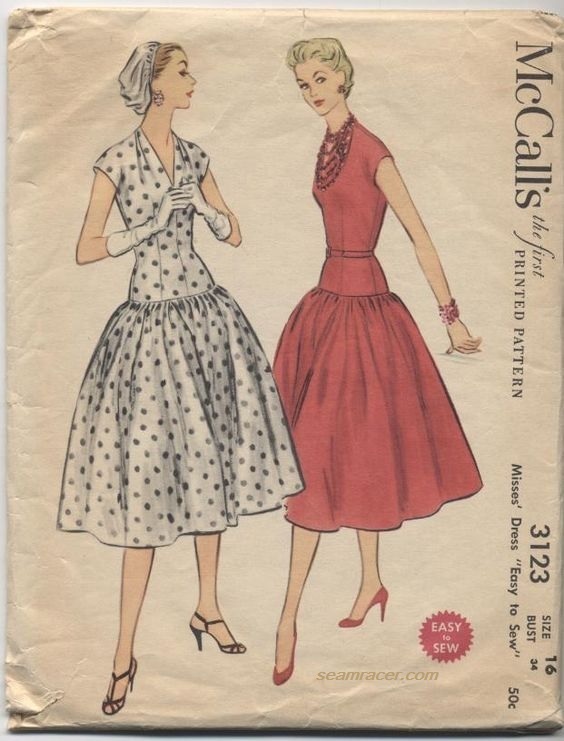 Ever since I first saw an Instagram post on this, I realized I had in my stash a McCall’s pattern that’s 32 numbers more than Grace Kelly’s dress, yet (except for the neckline) it’s more or less the exact same dress design. Now this was a temptation that I couldn’t resist! 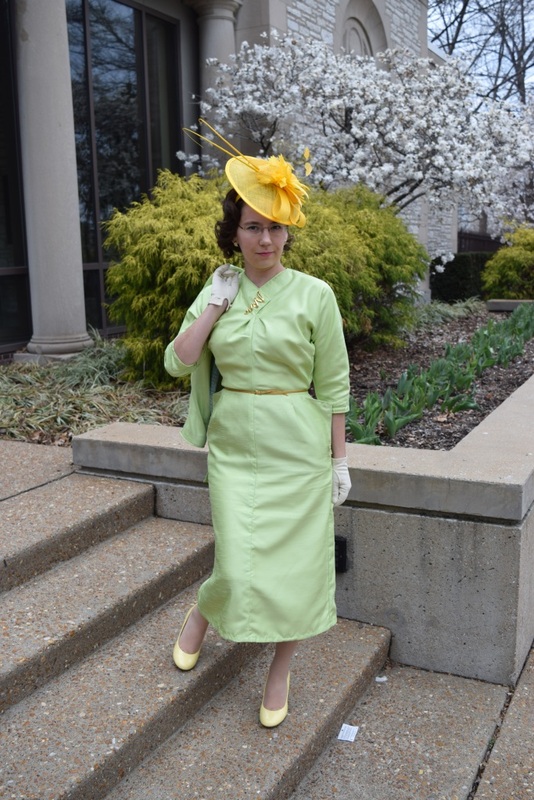 Yet I knew I had to make my version of Grace Kelly’s dress quite nice in quality or not at all. My cousin’s fall wedding gave me the reason and opportunity to make and wear something so fancy! So several yards of the finest mulberry silk were bought on a fabric splurge, together with everything needed for fully finished insides, and I’ve now made what I think is one of my fanciest dresses yet! I brought a little bit of my dear departed Grandmother to attend the wedding – the pink pearl leaf earrings are from her as well as the gloves. My bracelet is made by me of Swarovski crystals and sterling spacers. My shoes are the divinely comfy and yet fancy “Lola” heels from Chelsea Crew. I was adding in muted pink pastels to soften up the otherwise dark greys and black in my dress’ print, and bring out its magnolia tree petals! A real life English ivy vine is my headband, ‘cause why settle for fake when you can have the real thing?! I feel so flawlessly chic and powerfully feminine in this outfit. Even though I do not think this is the best design for my body type, the way the full skirt swishes around as I move (due to my added self-attached slip) and the softness and shine of the silk is unparalleled. This is comfortable finery, the likes of which cannot be found to buy RTW without a hefty price tag. I bought this dress pattern because it was different, cheaply priced, and appealing, but somehow I’ve always been mystified at how to make it work for myself. If ever I’m gonna like this pattern, my Grace Kelly look-alike version of the dress is the best shot at that. Even though I sense that my waist gets lost, and my hips feel as big as a house, once I think past my self-conscious insecurities while wearing this dress, it’s then that I love it. Who couldn’t love being able to slip into a small taste of the charisma of Grace Kelly?! NOTIONS: I bought the invisible zipper for the back, but besides thread that was all the notions I needed! TIME TO COMPLETE: My dress was made in about 18 to 20 hours hours and finished on August 29, 2017. THE INSIDES: Covered up by all the lining/petticoat, raw edges are not to be seen inside! TOTAL COST: The silk cost about $60 for 3 ½ yards, ordered from “The Hue Kiosk” on Etsy, with the lining cotton, petticoat skirt materials and zipper costing an extra $20 bought from Jo Ann’s Fabrics. A total of about $80 makes this just about if not the most expensive dress I’ve made, but that still isn’t a bad price for a dress like this…it was totally worth it! This dress pattern is labelled as “Easy-to-Sew” and it truly was incredibly easy. Sure, I made the dress a bit harder to make by fully lining the body, and drafting my own petticoat, but even with all this, it was still way too easy for how it looks. 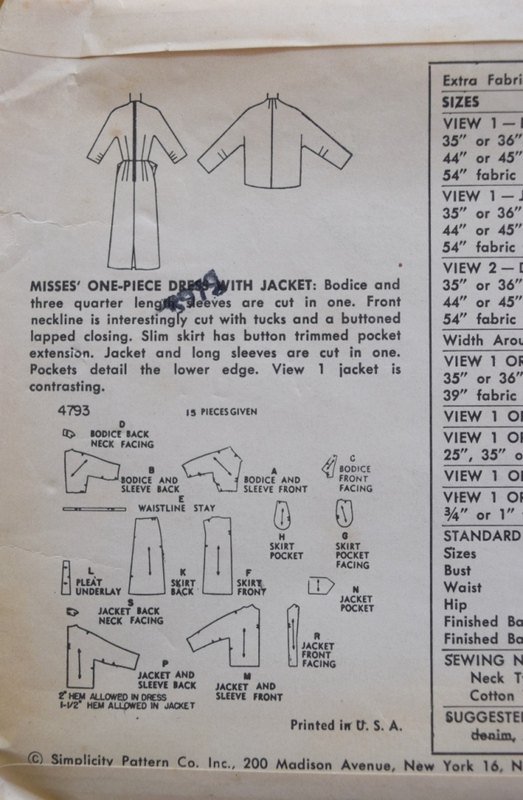 This McCall’s dress pattern also had remarkable fit that was spot on. I was worried about fitting the hips correctly, so that they were almost snug but still loose. The hips are pretty much the important part of this dress design because fitted wrongly they won’t hold the bodice and the skirt in place on the body correctly. The area from the waist, through the hips down, to the skirt seam is really the only part of this dress that is fitted to the body anyway. Grading up to my size according to the chart on the pattern back was right on, needing no extra adjustments. My main caveat to this pattern is it had a very long torso. I do not call myself petite, although I am on the shorter side, about 5 feet 3 inches high, yet I had to take out 2 inches horizontally from above the waist to bring the proportions up higher. 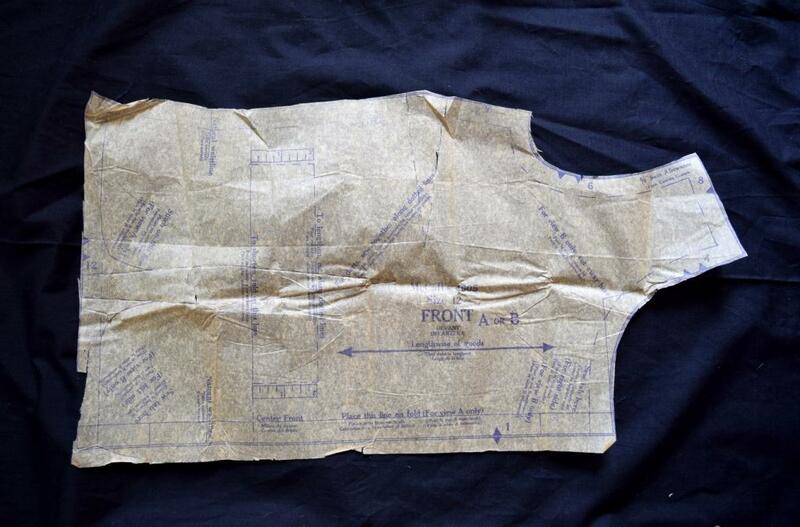 I also cut the top of the back neckline 1 ½ inches lower to also raise up the still long back bodice. I never make toiles, or muslins, but I do frequently check pattern pieces by fitting them on myself first before cutting out. I’m more glad than usual that I did discover the adjustments needed here before cutting on my good silk. I made two small changes to the actual design. 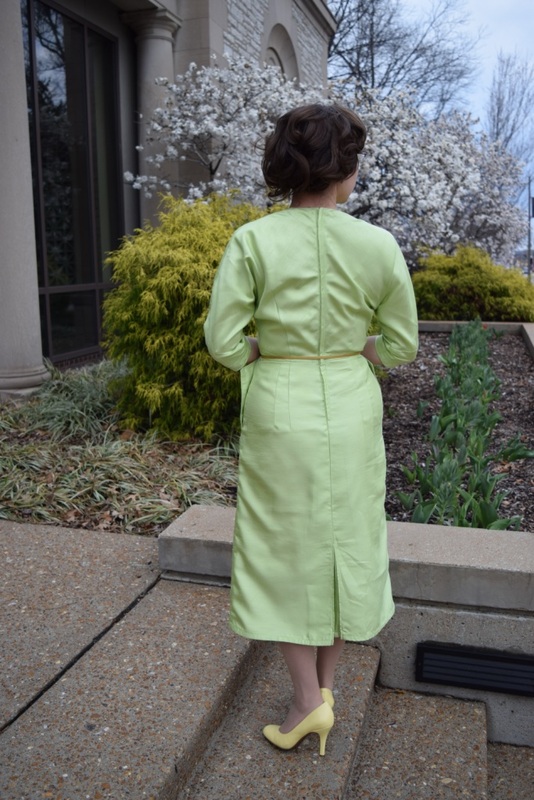 Firstly, the most obvious one is that I made the short arm-baring sleeves on the pattern into deep kimono ¾ length. 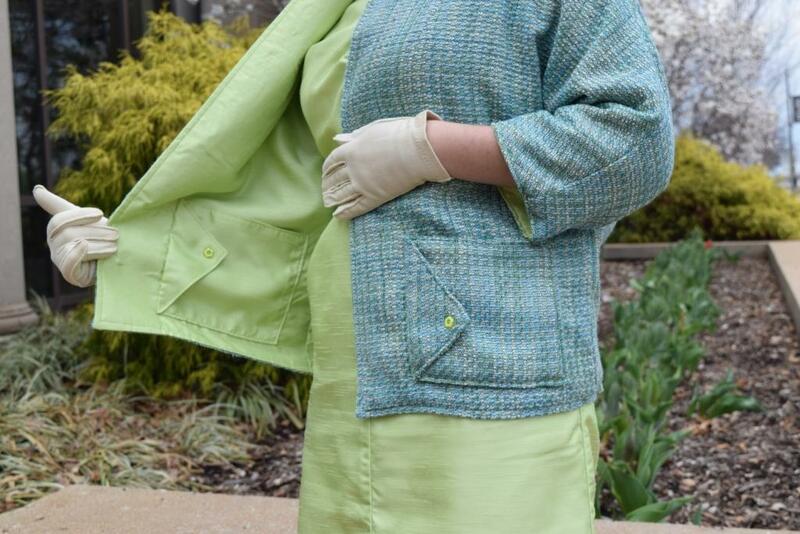 I used another 50’s pattern from my stash as my guide for cutting because as simple as extending the sleeves might seem, I wanted to leave nothing to chance, no opportunities for mistakes if I could help it. The elbows have small darts for shaping and are not cumbersome. The bottom of the sleeves arch gently from my elbows down to my high waist on the dress, something you can see when my arms are out. I realize that the longer sleeves add so much more volume to the overall appearance of the dress, yet I think the super short sleeves on the pattern strike me as jarring with the dressy air of the rest of the design. 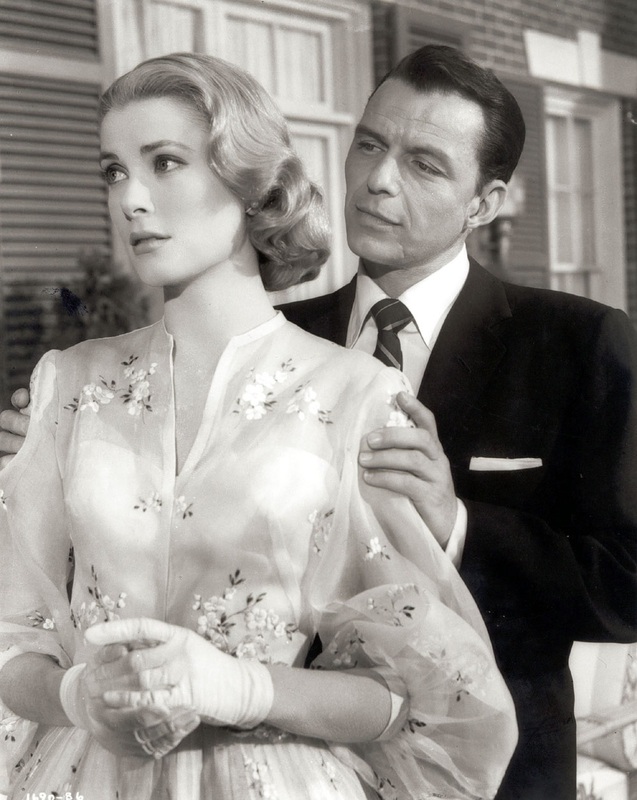 I think my having a bit more modest sleeves not only makes my dress closer to the original Grace Kelly dress, but I think it brings out the dramatic plunge of the V-neckline. Overall, as this is somewhat of a cooler weather dress, made especially for a fall wedding, I did not want to have to wear a sweater (with this? Yuk. ), so the longer sleeves keep me more comfortable. When trying to imitate other people’s style, I never like to compromise my own taste and personality either…after all, knock-off or not, I’m still the one wearing it! The second change was to take out about 12 inches out of the amount of gathers to the skirt – and it’s still so full! 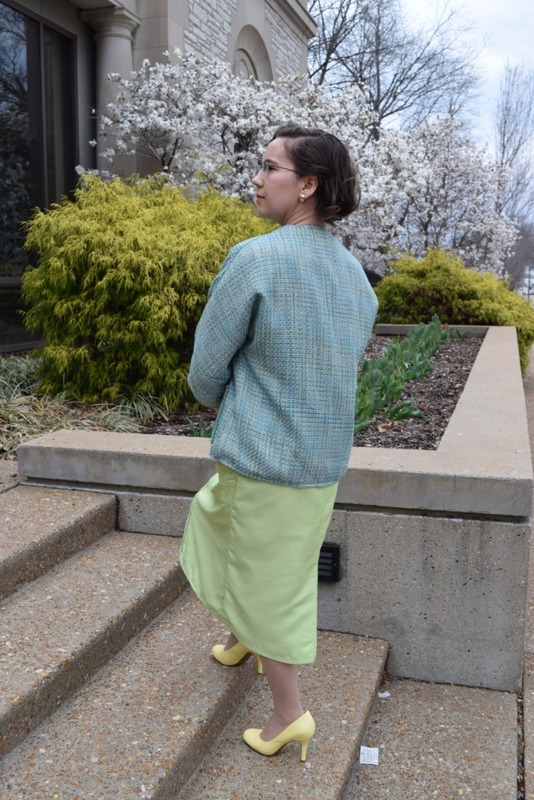 Many times a vintage 1950’s full skirt is really full, I mean so full your machine might not even want to sew through it, and I almost always take out 8 to 12 inches out of them and they are still quite poufy. Also the length to the skirt of my dress would have come down to the floor had I not taken out more than 5 inches. Even still, my skirt has a very wide hem, which actually kind of weighs it down and help the bottom round out nicely. In all there was probably enough for a whole nuther dress in the skirt alone. Once the skirt was sewn on to the bodice, working on finishing the dress felt overwhelming. 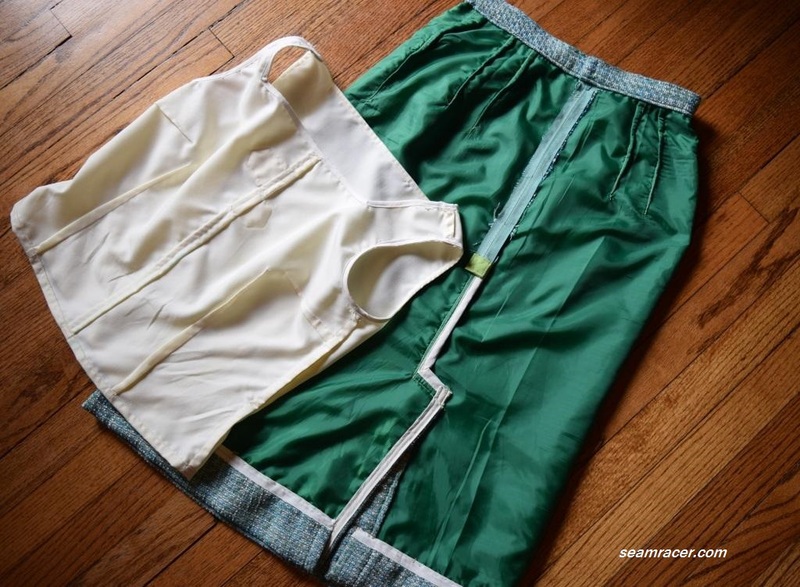 Have you ever felt like a garment project that has a lot of fabric “fights” with you to get under the sewing machine needle? This was like that. Thank goodness it was relatively easy to make. As I was spending enough time and money to make this a very nice dress, I chose to have a modern invisible zipper down the back. 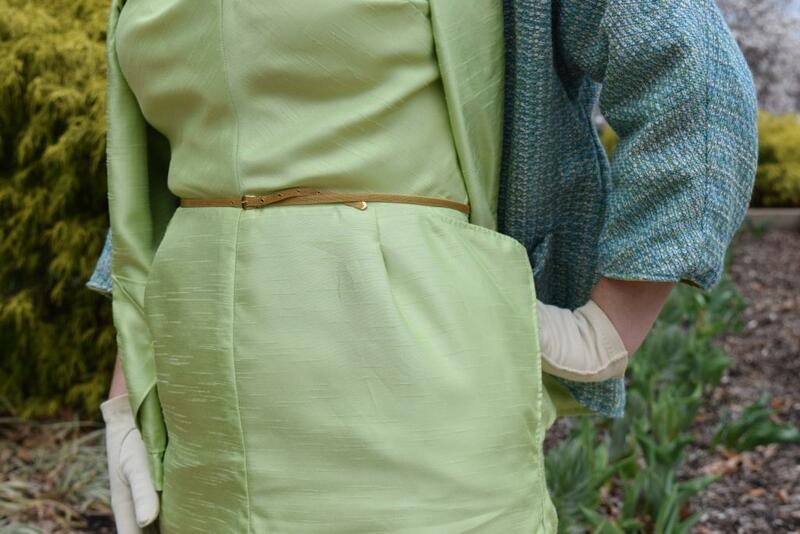 As much as I do like my vintage dresses to be vintage, there is nothing that beats a perfectly installed invisible zipper in a spot where a regular zip would be so very obvious. 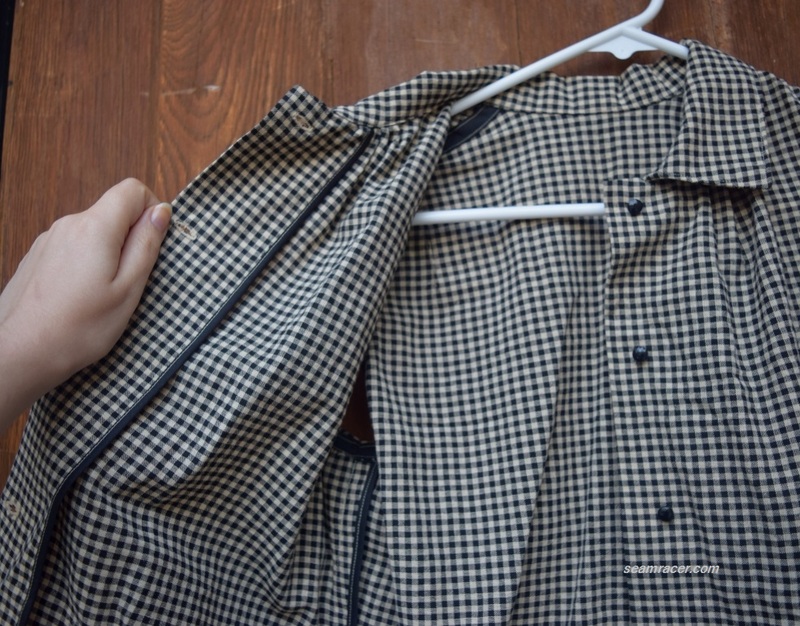 The pattern called for the back zipper to extend all the way past the drop skirt seam, into the skirt itself. I considered it, but ultimately didn’t want to try to take an invisible zip through that much fabric, so my zipper only goes down to just above the skirt seam. The zipper was just one of several things I had to decide on for my finished dress. 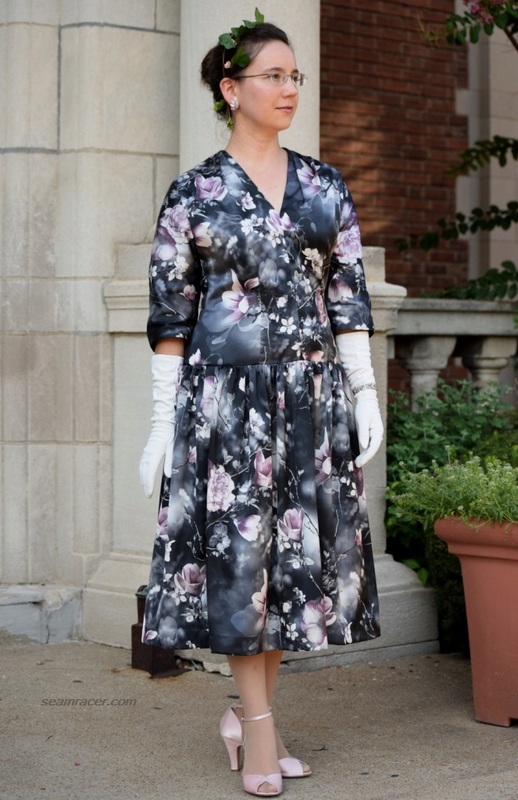 Grace Kelly’s original dress has a belt at the drop skirt seam, and the pattern has a true waist belt, so I made an ultra-long belt that could’ve worked for either my hips or waist, but didn’t like how it distracted from the rest of the dress and brought the eyes to the wrong spots. I was briefly even considering adding in light boning in the side seams to keep the bodice in shape over my hips, but I waited until my dress was finished to decide (thank goodness) and the heavy petticoat weighs down the skirt just enough to keep the dress from creeping up on me. It is one thing to figure out how to properly shape and make a garment…it’s another to overthink problems (real or imagined) and over-engineer details. I’m guilty of doing both. So often the difference between those two situations is a very fine line that I struggle to find in many projects. The extra finishing I did add to the insides really made a difference to this dress. 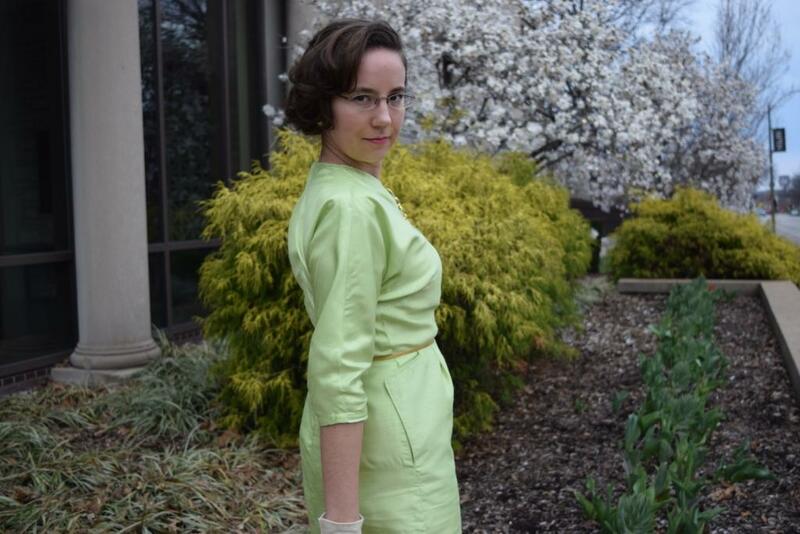 I tried it on at each step, without the bodice lining, and without the petticoat. 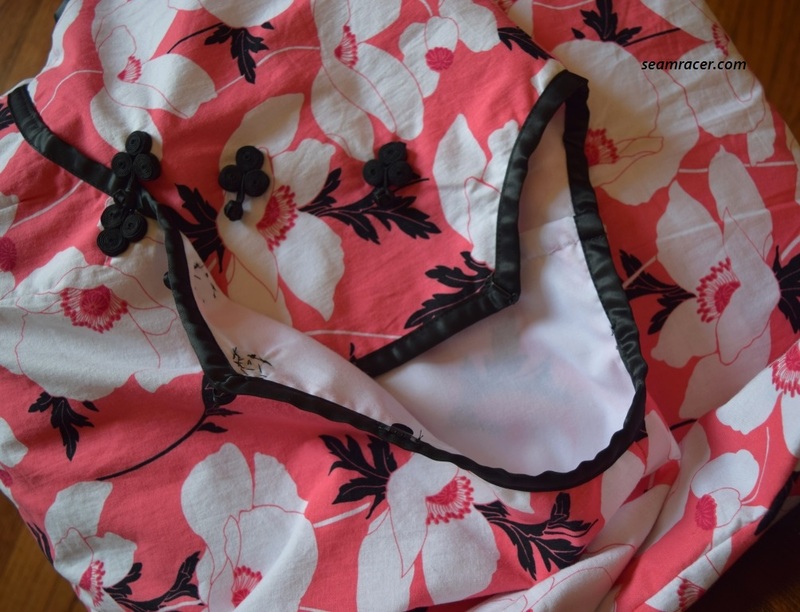 I did not like it until I had fully lined the bodice – it had more “body” and shape with it in, besides making it easy to finish the neckline, and a single layer of silk felt too sheer and delicate anyway. The neckline pleats to the cotton bodice lining were stitched down – other than that it was cut and sewn the same as the silk bodice. The skirt was too droopy without the petticoat I drafted – a nicely full skirt that holds its own really defines the rest of this dress design, besides preventing static cling. I really thought about making the new Simplicity #8456 to go underneath, but having the petticoat attached with the bodice lined made wearing and getting dressed in this so effortless. With just over 3 yards of fabric in this dress I needed to be able to wear the dress…not the dress wearing me. My dresses petticoat was made from a mechanically pleated/crinkled satin that had a relatively heavy drape to hold its own against the light-as-air silk. Long, 10 inch wide strips was tulle netting were cut and gathered above the hem of the crinkled petticoat satin. Then the skirt was gathered and sewn on the other side of the waist seam, so that when the dress hangs or gets worn the petticoat falls down over the raw edge, covering it and in a sense pulling the seam allowance down for me at the same time. I love engineering my dresses so I can be just as proud of the inside as I am of the out. I am important enough to warrant seeing a finely finished inside. I cannot say enough good words about the mulberry silk I ordered as well as the shop I ordered from – “The Hue Kiosk”. They have my full recommendation! First of all, I love what they have to offer, with reasonable prices, and great customer interaction. A sheet of touch-and-feel samples they sent along with my order was really enjoyable, and helps me know what I want to order next from them once I catch up on my sewing allowance! 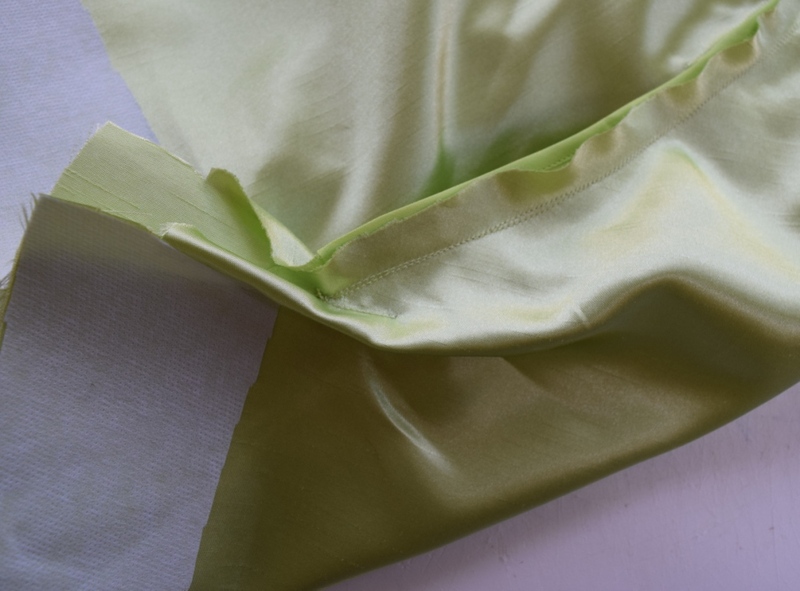 Mostly though, this mulberry silk is the best silk I have sewn, felt, and worked with. Out of all the kinds of silks I’ve worked with so far (over half a dozen now) this is so impeccably wrinkle free –even straight out of the wash – it’s a miracle. The best part is the lack of smell! I know I have a sensitive nose, and as much as I love silk, both silk and wool have this smell, especially when wet, that is sort of repugnant to me. Mulberry silk is the first that is smell-free! I have read that it is considered hypo-allergenic because the worms have one sole diet of mulberry leaves. Never mind the insect details, I am so sold on mulberry silk. My only caveat is that a new, sharp needle is a must when sewing on mulberry silk. A semi-new “sharps” needle was enough to create a few catches or runs in the silk as I was working – it has very fine threads and has a semi-tight texture. When I thought about the history behind my dress after my cousin’s wedding, I realized an irony I hadn’t thought of before. A dress that Grace Kelly wore to an occasion which led to a wedding, had be copied by me to wear to a wedding. Maybe this dress when made of silk inherently wants to be a wedding dress? Silly me! 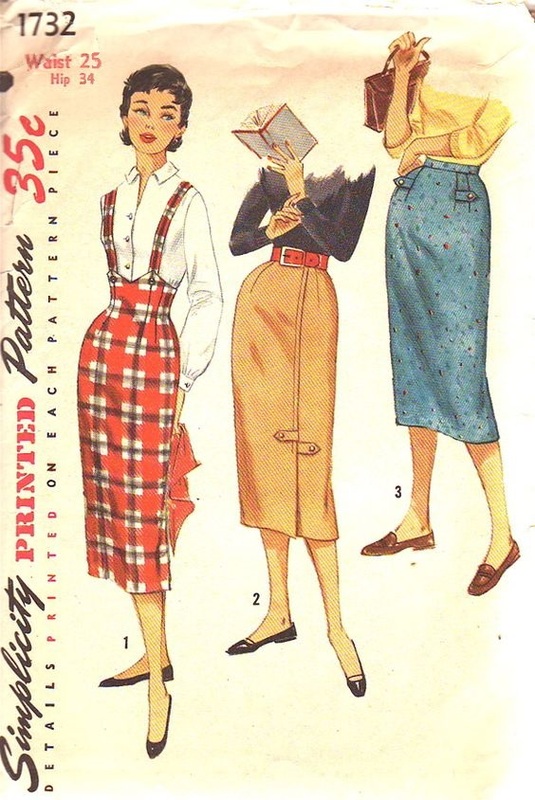 Seriously though, I’ve noticed many drop-waisted dresses in the few years after 1954 (check out the McCall’s #7625 1955 Archive pattern or Vintage Vogue #1094 of year 1955 for two readily available examples, and see my Pinterest board “Drop That 50’s Waist”) so I realize this dress of mine as well as Grace Kelly’s dress were part of a mid-50’s trend for juniors and women alike. It is not the most likeable style but it is memorable – especially when it has the name of Grace Kelly behind it! 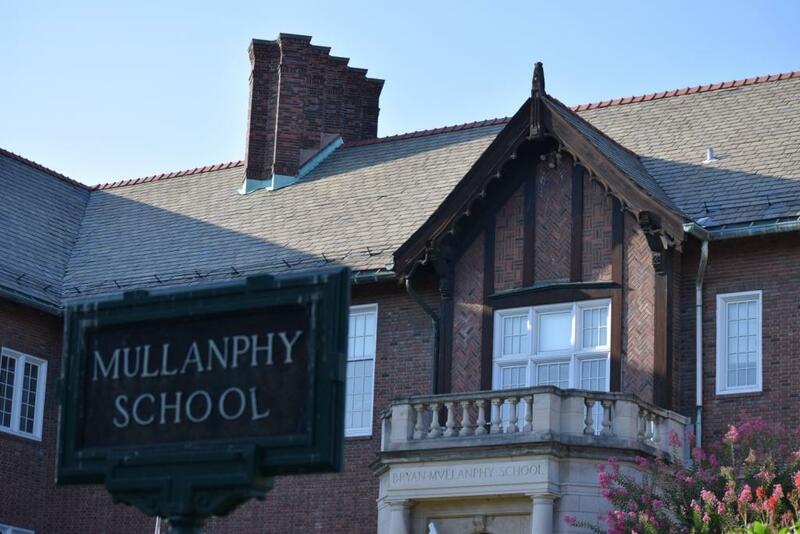 I hope the modern Ms. Kelly – me! – has also been able to put a new and lovely twist on an old style. Deep down I must be a princess at heart. Please visit this Instagram post on my account to see my attempt at reproducing the old original McCall’s pattern book cover for the “Vintage Cover Challenge”! Close enough to be convincing? My first sewing for this year’s summer season is effortlessly simple. 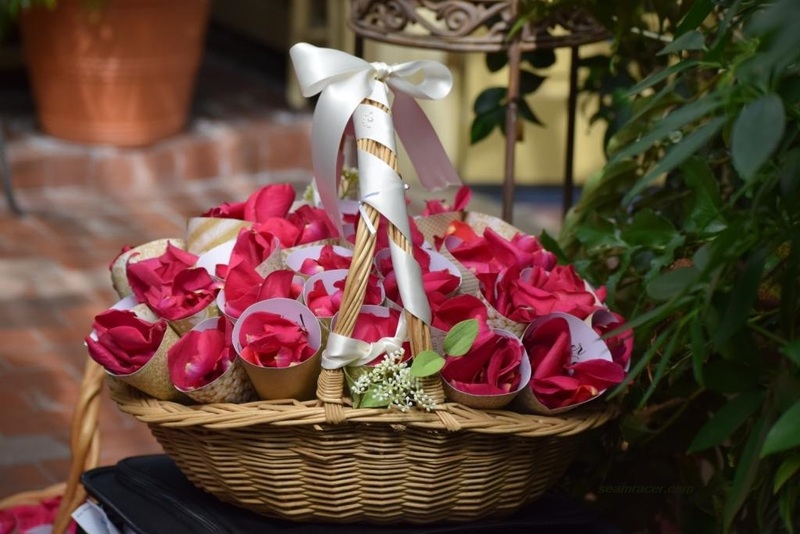 It’s also basically everything associated with an old-time American summer picnic – gingham cotton, basket-like straw, bright red cherries, easy and comfortable dressing (no less cute, though), and good times in the backyard. 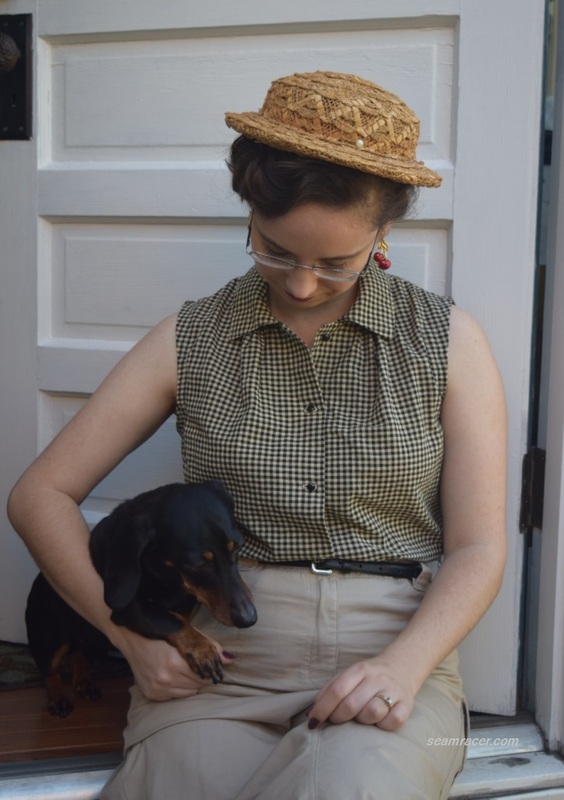 I had to bring my pet dachshund into the picture for good measure! He’s a loving little shadow to me, though he is camera shy. 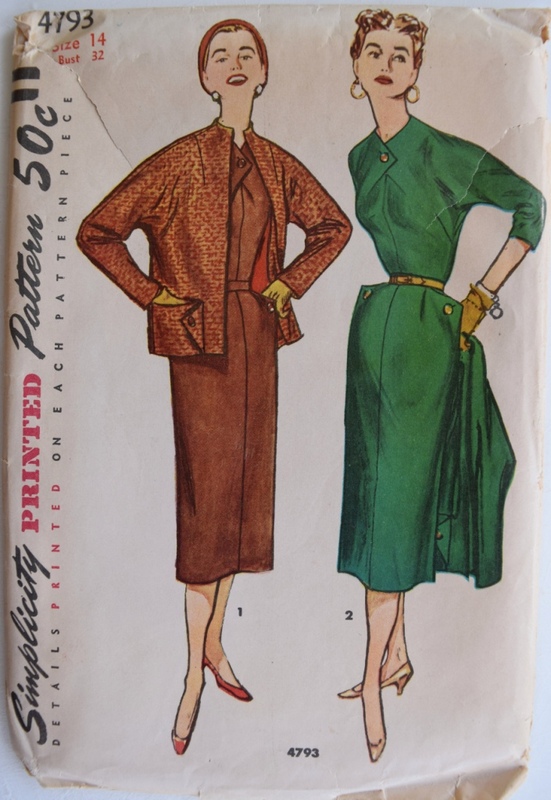 PATTERN: Butterick 7161, year 1954 – it was a free gift from a kind Etsy seller. TIME TO COMPLETE: My blouse was whipped up in 2 hours one afternoon at the end of April 2017. TOTAL COST: The fabric, my only expense, was bought at Wal-mart’s remnant area in their fabric department for only $2.23! This blouse just makes me happy. I love the styling – just enough ‘vintage’ touch to be neat and unique, yet still classic. The colors are muted and cool, and pair well with so many different bottoms (skirts, pants, and shorts) in all colors (mostly khaki, denim, and black, but even red will do). From a practical point of view, this was so cheap! Yet, for how well it fits on me and nicely finished I made it, this is such a deal. No wonder I buy fabric and sew for myself versus picking up ready-to-wear! Making this top sleeveless was not precisely by choice, but I like it. I was lucky enough to make a blouse from this as it was! My blouse does look really good with sweaters, luckily, for when I’m stuck inside freezing air-conditioning or out in a chilly night. 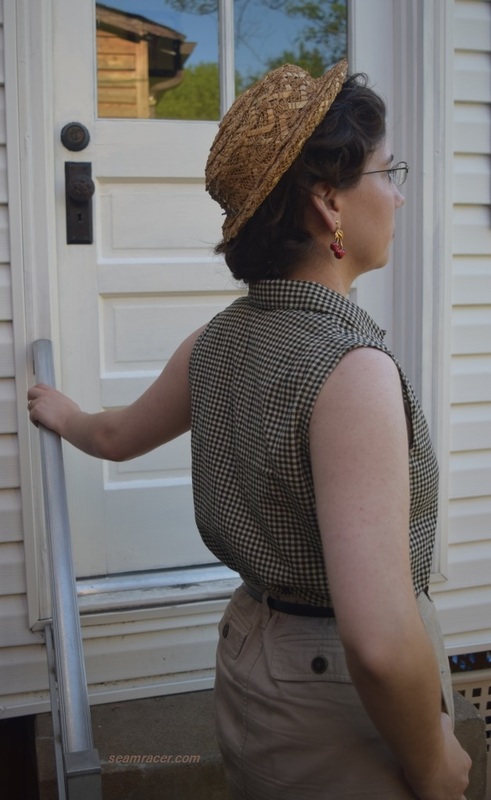 I find it interesting how generous and comfortable the armscye is on a 1950s era sleeveless blouse. The armholes from the next decade of the 60’s are so much tighter, and I’m always paring them down but it’s never good enough. 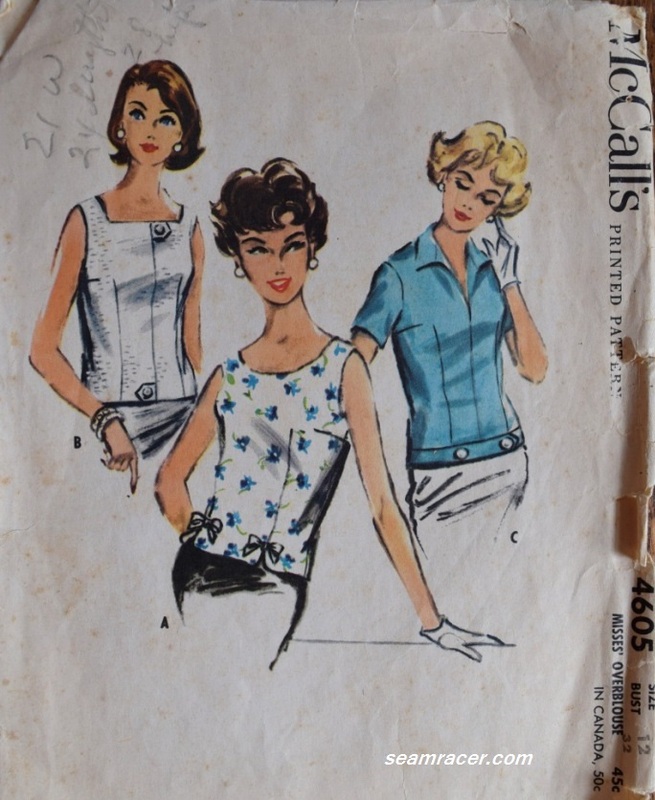 Maybe I’ll need to try sleeveless 50’s fashions more often. 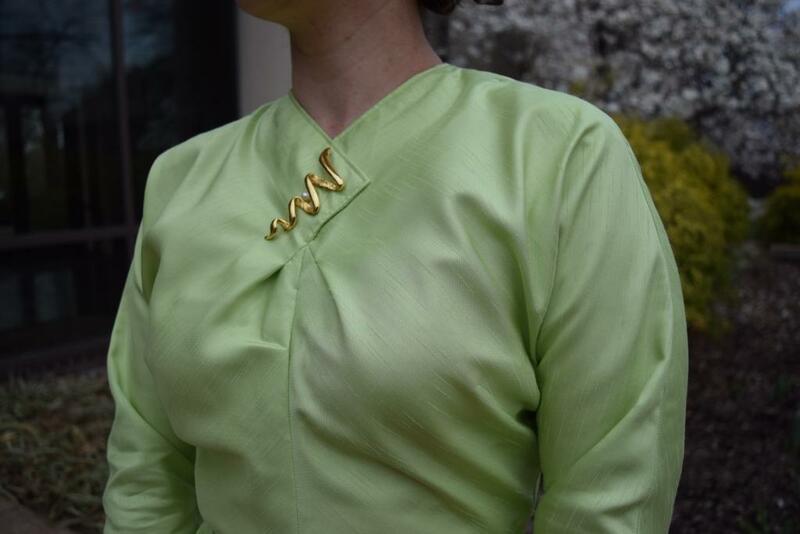 The only major special detail to this blouse is the gathers which come from under the collar. They are an ingenious way to both add an interesting design element and provide bust shaping. I thought about pleating the excess fabric rather than gathering it (as I did), but I plan to use this pattern again and I can try that out then. Halfway through sewing this blouse, I had a scare. I realized this ‘homespun’ cotton was quite fragile when I was stretching the blouse back neckline into the collar piece. It tore way too easily into the seam allowance. Thank goodness it didn’t tear any further into the blouse or I would have been devastated because this blouse is my new go-to, throw-it-on frequent favorite. Once that rip happened, I was glad I had cut the as-is size of the pattern, which was technically too big for me. I ended up leaving the blouse its generous size because I didn’t want another tear happening in the body of the fabric, which I could totally see happening just from being worn if it fit tighter. The cotton is so soft, it kind of ‘droops’ down anyway and you can’t tell how generous it is on me. Between the comfy fit and the loose homespun, it does make for an “I-don’t-feel-it-on” weightless summer blouse. 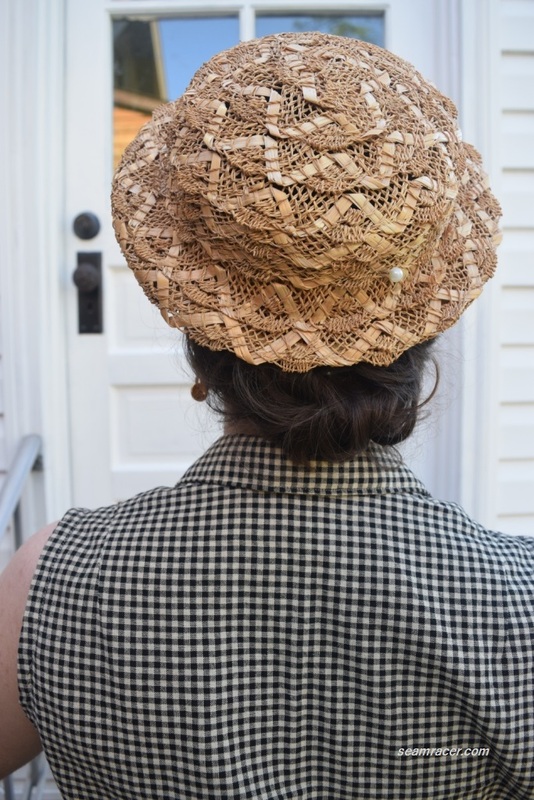 A view of the back is rather basic but my vintage 50’s hat makes it amazing, if you ask me. Look at that stunning weave of the two different kinds of straw! The perfect condition and the steal of a price that I paid, makes this one of my prized vintage hats. 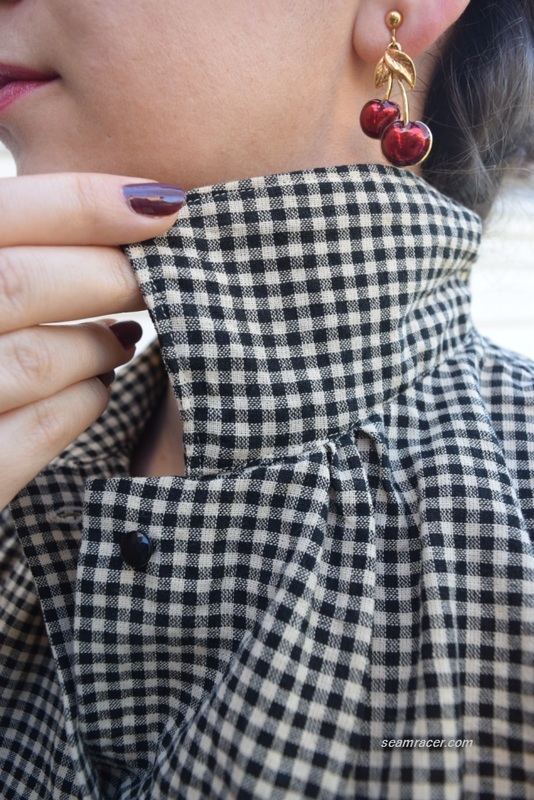 To complete the accessorizing details, my fun cherry fruit earrings are vintage from my dear Grandmother. 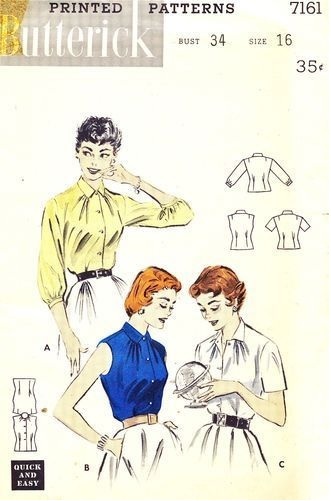 Blouses, especially 50’s era blouses are my newest ‘thing’ currently. I’ve been whipping out several already with a few more in my projects queue to sew yet. Thus, look for more separates to come here on the blog in next few months!